It’s a good question because it brings us to the very reasons for our faith. For the atheist there is no truth apart from what can be discovered by science. If science can’t observe it, dissect it and explain it then it’s not true or real. Science becomes the filter everything must go through to be true, but science is a very limited discipline. It can only evaluate what it can see, test and observe. So, what would be considered valid evidence to believe something? There is much that is real, true and valid that science simply cannot evaluate. For example we know that George Washington lived and was our first president, but science cannot evaluate that. There is no scientific method or resource that can prove this, nor was science designed for this. And so, according to the scientific method alone, George Washington didn’t exist. Now we all know that’s just silly. There are other sciences and ways to validate and prove true things that science simply cannot evaluate. Evidence? What evidence would be required for us to distinguish something true from something false? The example I gave above is one that can be proven and believed in by other information. There is history, eyewitnesses, articles written at the time….multiple stories. And so, we believe. It’s not a leap of faith to believe in George Washington. It’s history! There’s evidence. It’s believed because there were real people at that time who knew him, saw him, wrote about him and we believe their words. What evidence would you need to believe something? What evidence is there of God? What do we have to believe in God and how do we know we are believing something that is made up vs. something true? Science cannot unpack this for us. This is outside of their parameters. They cannot go there, but it doesn’t mean it’s not true. It doesn’t mean God doesn’t exist any more than believing George Washington never existed because the scientific method cannot prove it. What evidence is there for God? Psalm 19 tells us the universe is the first evidence that God exists. Science would deny that as evidence for God and give credit for this amazing universe to their god called “chance.” I think it’s easier to believe in the God of the bible than the god of chance. Your odds are much better. Second, there are eyewitnesses of God’s work. They talked to him, saw his work and documented it. There are multiple witnesses of God’s work. Do any of these men and women count in our discussion? I think so. Just because all of the stories have been compiled into one volume called the bible doesn’t mean their eyewitness testimony is not true. There are the predictions of things to come in the Old Testament that actually happened as predicted. They happened with 100% accuracy. Can we consider this proof? In fact the birth and life of Jesus Christ fulfills hundreds of prophecies made many decades before his birth. The odds of one man fulfilling just 8 of these specific promises, let alone all 300+ prophesies is almost impossible. 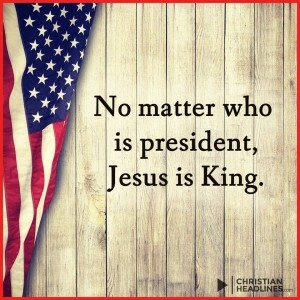 But we have Jesus. A real man who claimed to be God. And yes, he did claim to be God. That is not up for discussion. His claims were verified by his miracles, his Deity proven by his resurrection and all of this was recorded by hundreds of eyewitnesses. The evidence for the life of Jesus is more believable than the evidence for our first president George. What science can’t measure or evaluate other things can. Science is not the filter for everything. It is limited. When the atheists of the world claim there is no evidence for God they are simply talking about evidence according to science. There is much that a blind man can tell me as he smells, touches and hears the world around him, but what he can’t do is tell me what he sees. He’s blind to a whole world around him because he cannot see it. Just because he cannot see doesn’t mean that what he doesn’t see does not exist. Those of us who see are amazed at the blind man’s claims and cannot convince him of the reality we see. Just because the blind man of science claims he cannot see God doesn’t mean he’s not there for anyone with vision to see clearly. Faith or science? Evidence for God? I’ll take the evidence for God clearly seen all around us and witnessed by those who told their stories in the bible. I know I believe in the true God because the evidence is everywhere….science simply won’t or can’t see it.